This weekend, the OSCAAR Modifieds will take to Peterborough Speedway for the Autumn Colours Classic. The event provides the perfect opportunity for a driver to cement themselves in Ontario short track history with a crown jewel win. While the race for the victory will be intriguing to watch, the battle for the championship in the series finale may be more intriguing. 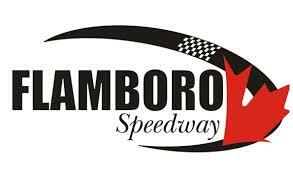 Following a couple incidents and a win for one competitor at Flamboro Speedway, the top-three enter the final event separated by a mere 16 points. Luke Gignac enters the weekend as the points leader, nine markers up on Chris Milwain. Gignac has been consistent all season long, with just one finish outside of the top-10. Notably, throughout his OSCAAR career to date, he has only posted four finishes outside of the top-eight in 20 races. He has proven to be fast at Peterborough previously, winning the Chase for the Colours in August which gives him pole for Sunday’s feature. Speaking of Milwain, he has shown a lot of speed, posting seven top-fives this season, highlighted by three victories, including last weekend’s Frostoberfest. He has posted a top-10 in his previous three Peterborough Speedway starts, highlighted by a third in August. A.J. Emms enters this weekend third in points, 16 markers behind Gignac. Emms has been solid this year, scoring seven top-five finishes, with 14 top-fives in his last 18 OSCAAR starts. He’s done well at Peterborough in the past, scoring three top-fives in five starts, including a victory in last year’s Autumn Colours Classic. Although all eyes will be on these three, there are plenty of other drivers in the field who could easily sneak in and grab the glory. John Harper is guaranteed to start second after scoring a runner-up at the Chase for the Colours. He has been up and down this season, though enters this weekend with four consecutive top-seven finishes. He was also strong in last year’s Autumn Colours Classic, placing fourth. 2015 Autumn Colours Classic Champion John Baker Jr. will make his first start of the season, in hopes of repeating his success once again. Gary McLean will make his third start of the season this weekend, hoping to keep the momentum rolling following a win at Sunset Speedway and runner-up at Flamboro Speedway. Gary Elliott is set to make history in his own way this weekend with his 800th consecutive start. He has been solid this season, scoring a top-10 in each of his eight starts this year. Notably, he has posted a 14 top-10’s in his last 17 OSCAAR starts. In his seven previous races at Peterbrough, he has posted seven top-10’s with a track-best of fourth. Cory Horner has been consistent this season, posting no finishes outside of the top-seven, including a pair of victories. Notably, in his last 19 OSCAAR starts, he has posted 16 top-10’s. In his six previous events at Peterborough, he has only placed outside of the top-seven once, highlighted by a runner-up in October 2015. Tim Tolton has continued to get stronger each week, posting four top-10 finishes to date in his rookie campaign, highlighted by a fourth-place finish at Sauble Speedway. Unfortunately, he scored a 15th-place finish at Peterborough in August. Wally Wilson continues to lean each week behind the wheel of his modified, hoping to score his second career top-10 this weekend. He placed 14th at Peterborough in August. Cliff Hodgkinson hopes to score his sixth top-10 of 2017 following a seventh-place finish at Flamboro. He finished 10th at Peterborough in August. Jase Cornell will hope to score his fifth career top-10 as he finished 10th at Flamboro. He was solid at Peterborough in August, finishing ninth. Dale Reinhart has been solid on a weekly basis, posting no finishes outside of the top-10 all season long, including a podium at Flamboro in June. He scored a fifth-place finish at Peterborough in August. Mike Hearty will make the trip from Sault St. Marie, hoping to score his third top-10 of 2017 following a sixth-place finish at Sunset Speedway. Cole McFadden will make his second start of the season, following a 14th-place finish at Kawartha earlier this year. Connor James will hope to score his third straight top-10 after placing eighth at Sunset Speedway last month. His teammate Stu Robinson Jr. is also looking for a good run after finishing 10th at Sunset. Mark Gordon hasn’t had much luck so far this year, scoring only one top-10 in three starts this season. He will hope to turn that around at his home track. The full itinerary and prices can be found on the Peterborough Speedway website at http://www.peterboroughspeedway.com/.